Top > Study > Spoofing > About recent Spoofing affair. ■ About recent Spoofing affair. LINE takeover identity theft event that got into the news large. This is taken over whom self's LINE account is, and demands the representation purchase of digital cash from my "Friend" on a certain day. The coping method includes the limitation of the login terminal. This can be changed from a set screen. Faltering Japanese is a feature of this swindle, too. It is a reality though security has been strengthened now (As of August, 2014) while damage keeps expanding. The damage total seems to mount up to as much as 6.5 million yen. Users of LINE are 560 million people (October, 2014) in the world. It becomes 52 million people in Japan. The population of present Japan is 127.09 million people (October, 2014). 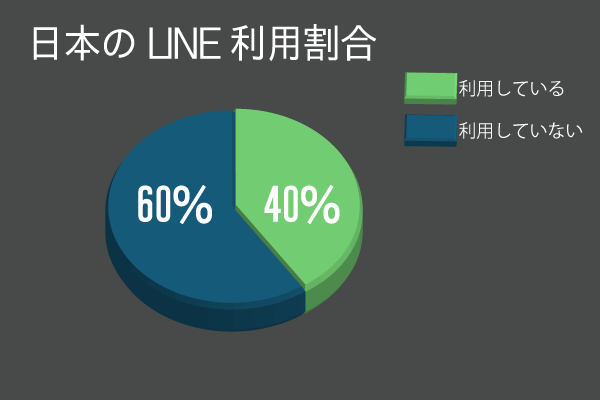 In a word, it becomes one out of two Japanese citizens and about half people the number become LINE users. A big panic might occur in Japan when a bigger trouble occurs by LINE. ▲Many Japanese are using "LINE".